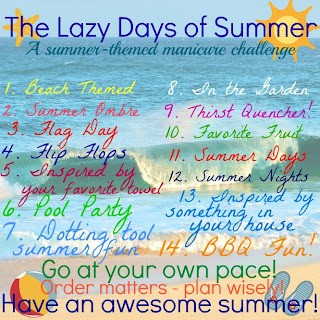 I'm back to my Summer Nail Art Challenge with the 9th theme - Thirst Quencher. 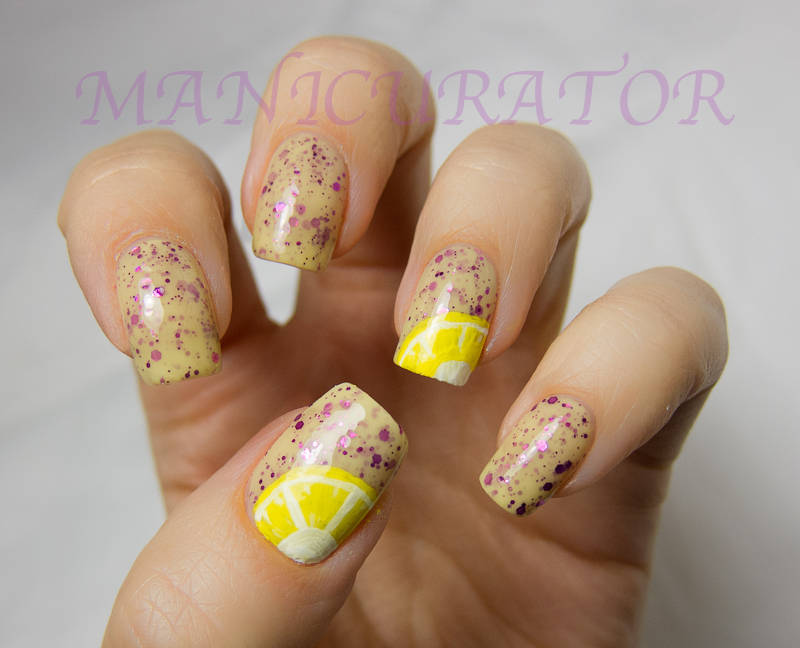 I knew I wanted to do pink lemonade, in fact I have it in my fridge right now :) When I realized that I had a polish named pink lemonade, well...it was a no brainer. 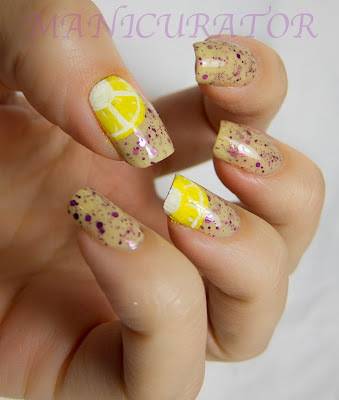 I tried using acrylic paint for the first time for the lemons. Not sure how I feel about using paints for nail art yet. I understand why they are used now, easy to work with...feel like I betrayed my nail polishes though! How funny is that? I would be remiss if I didn't discuss how incredibly awesome this polish is, and ALL Smitten polish that I have tried so far for that matter! 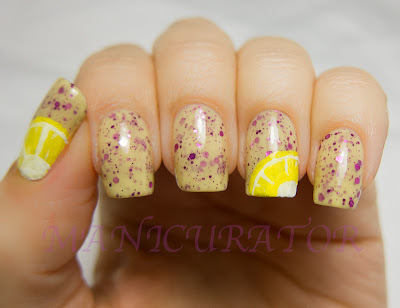 The photos without the lemons painted on are showing you 3 coats with no top coat. 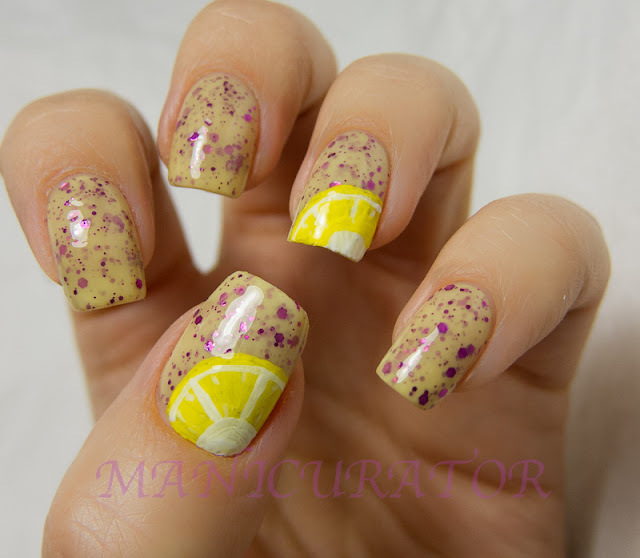 I wore this polish for a few days with 2 coats (and it looked awesome) before I had a chance to paint the lemons, so I added another coat of pink lemonade to make sure it looked fresh. This color is gorgeous! 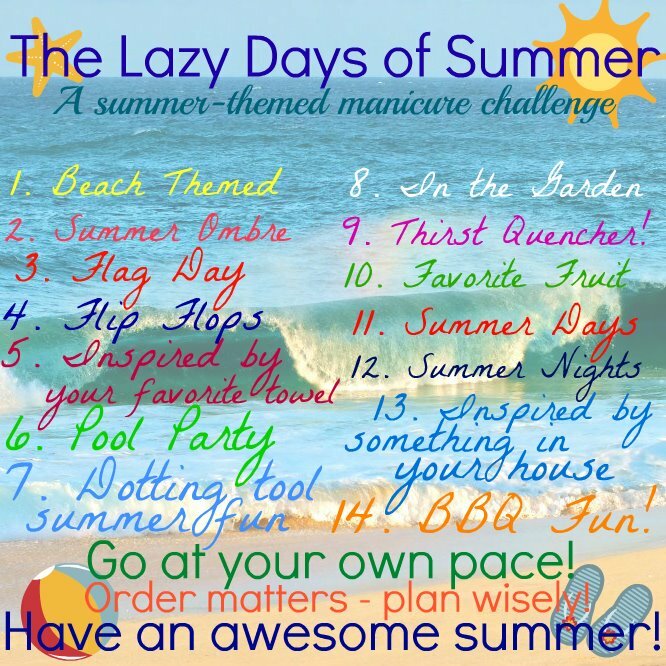 !And I haven't tried acrylic paint yet for nail art either. I get why it would be easy but I feel conflicted about it too. That is a great polish! And the lemon detail is great. Wow the lemon looks amazing!